Board Game Store : EuroGames : Strategy Games : Puzzles : Off The Charts Games: The Lord of The Rings Card Game is Here! 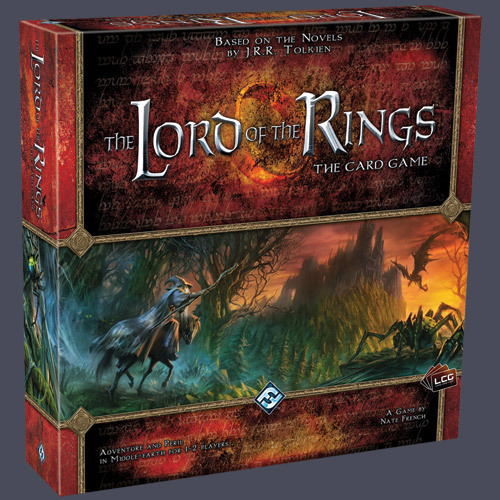 The Lord of The Rings Card Game is Here! At Off The Charts Games we are proud to announce we have the most anticipated game of the year. A game that allows you to enter the world of Middle Earth. The game is Fantasy Flight's The Lord of the Rings: The Card Game. It is a cooperative card game that puts 1-2 players (or up to four with two Core Sets!) in control of the most powerful characters and artifacts of Middle-earth. The Core Set includes 226 cards that can be used to assemble a wide variety of decks right out of the box. Included are three perilous quests that, along with countless combinations of settings and enemies, offer near-limitless replay-ability. You can see a sample playing guide at the video below. Be the first to own this game at Off The Charts Games located at 30 NW 2nd Street, Gresham, OR 97030 in Downtown Gresham. Stay tuned for more information regarding our store and the latest news about board games and especially European board games. Lots of fun games. What a great place. The only problem I had was another patron who thought they owned a machine. The left the machine and I went to play and then were like, we are playing that. Well then don't leave the game giochiapalla.com.